Our company has earned accolades in offering Low Carbon Ferro Chrome. It works as alloy of chromium & iron and comprises between 50% and 70% chromium content and provides usage as important iron niobium alloy with niobium content of 60-70%. 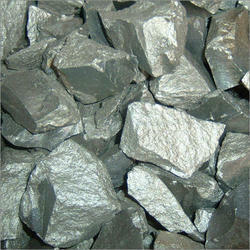 Further, it is also used as main source for niobium alloying of HSLA steel. Company having manufacturing unit for metallurgical coke, coal dust powder, medicinal gases and mineral water. It is trader in raw materials like pig iron, coke, ferro alloys, carbon additives, inoculants and fluxes required by steel plants and foundries. It have mines for lime stone and dolomite.